The last time a major Van Gogh exhibition was in Houston was 1951, when the de Menils arranged an exhibition at the Contemporary Arts Museum. Over 50 rarely-loaned works by Vincent van Gogh are currently on display at the Museum of Fine Arts, Houston (MFAH), as part of a unique exhibition that traces the Dutch artist’s evolution. Called Vincent van Gogh: His Life In Art, the exhibition looks at Van Gogh’s works chronologically, from his early sketches to his final masterpieces. The exhibit will only be shown in Houston — when it ends on June 27, the works will be packed up and sent back to their permanent homes. 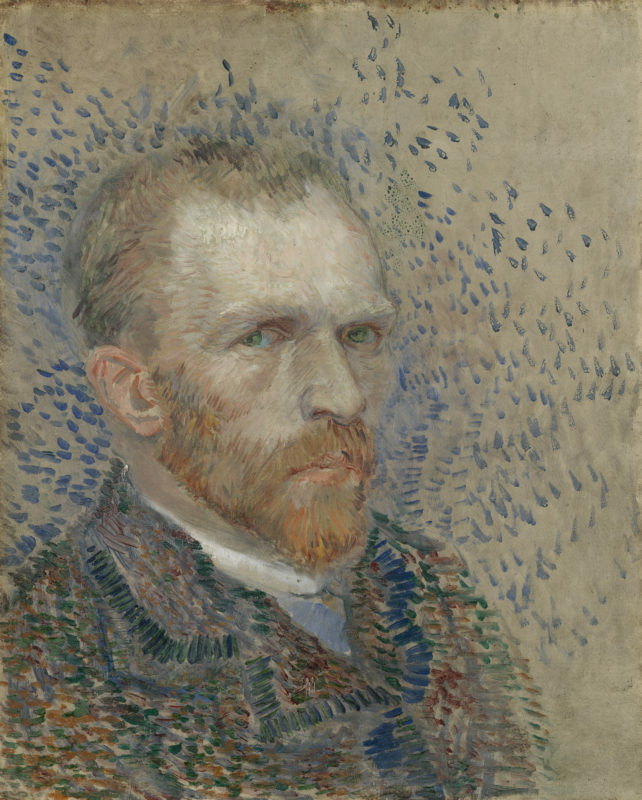 During that ten-year period, Van Gogh produced around 850 paintings and over 1,000 drawings. Bomford said while most Van Gogh exhibits focus on a specific theme related to the artist, the MFAH wanted to show how much his work developed in such a short period of time. 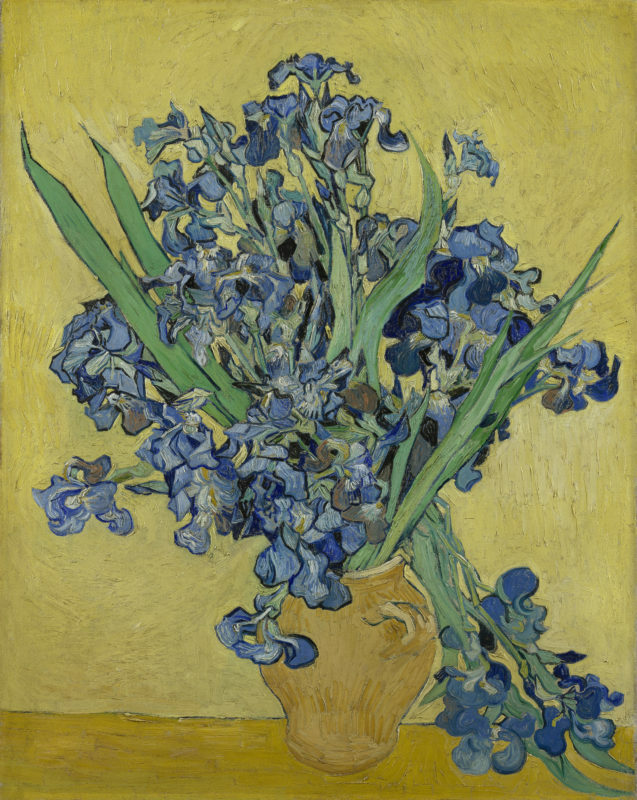 The exhibition starts in 1880 with Van Gogh’s early work from the Netherlands. “He’s producing really dark, difficult paintings, really quite ugly paintings, certainly very stylized and awkward paintings,” said Bomford. From there, the exhibit shows pieces from Van Gogh’s time as a draftsman, where he honed his skills. “His drawing style just develops at an amazing speed and he becomes one of the great draftsmen of European art within a year or two from rather tentative beginnings, and so that speed of development is something remarkable,” Bomford said. The exhibit then explores Van Gogh’s work in Paris when he briefly became an Impressionist, followed by a series of landscapes and portraits from his time in the South of France where he develops his unique style. It ends with his paintings from the final years of his life, while he was living in a psychiatric asylum in Saint-Remy and then in Auvers where he died. Among some of the works on display are his self-portraits and his iconic painting of irises. There are currently at least nine Van Gogh exhibits in the works around the world, according to The New York Times. Tinterow is also one of five members on the supervisory board at the Van Gogh Museum in Amsterdam, which he said has given him insight into just how difficult it is to organize a Van Gogh exhibition. Tinterow said talks for the current exhibition began about three years ago. 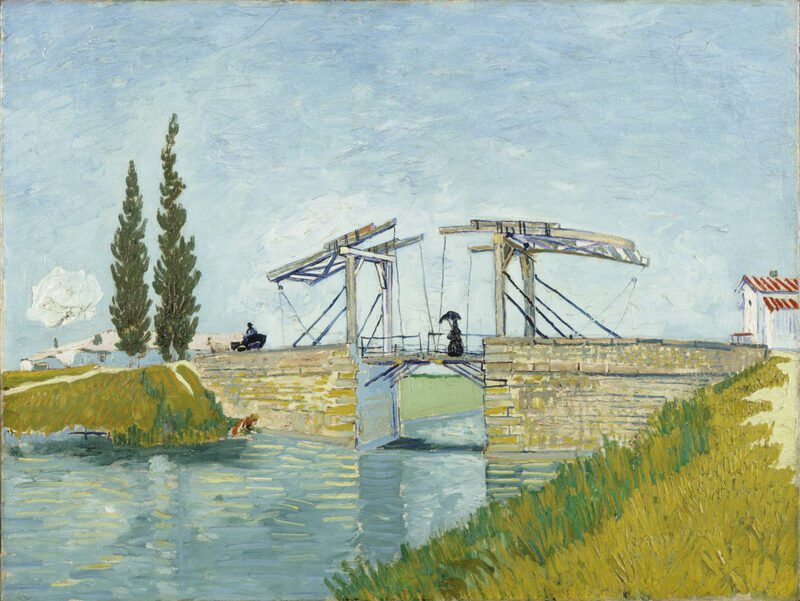 The bulk of the paintings came from two museums in the Netherlands: the Van Gogh Museum and the Kröller-Müller Museum. But the curators also rounded it out with works from other collections. 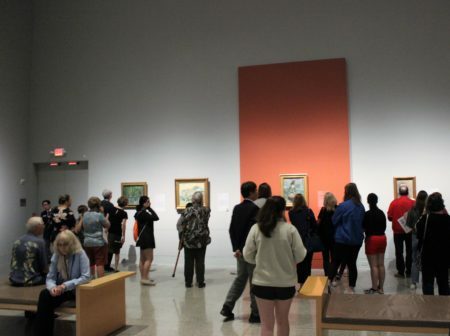 Given the rarity of the exhibit and excitement over the opportunity to see works by the iconic painter, it has the potential to be another attendance record-breaker for the museum. Nearly 2,000 people attended the public opening on March 10, according to Tinterow. The museum’s all-time attendance record was a six-month Ron Mueck exhibit, which saw 147,000 visitors. Crowds have continued to gather since the opening, with people visiting from around Texas and even out of state. 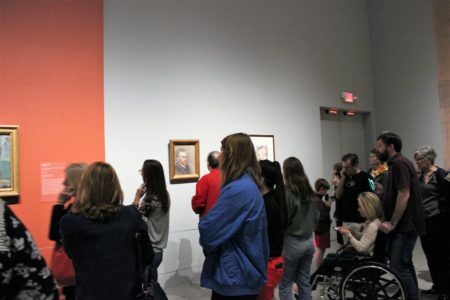 “It’s just exciting that so many people can see his works that we haven’t been able to see before, and you don’t have to travel all around the country to see them. They’re just all in one spot,” said Pandora Blankenship, who traveled from Missouri with her daughter and granddaughter to see the exhibit. For many, it could be a once in a lifetime opportunity.